Piers Morgan is pulling no punches when it comes to how he feels about two mega-stars. Read on to find out what he had to say about Madonna and Kate Moss. Hint: There is no love lost. Neither Madonna nor Kate Moss are known for being as sweet as apple pie, but Piers Morgan says they are both absolutely unbearable. In an interview with The Mirror, the TV host explained exactly why he has it out for these two mega-stars. He first took aim at supermodel Moss. 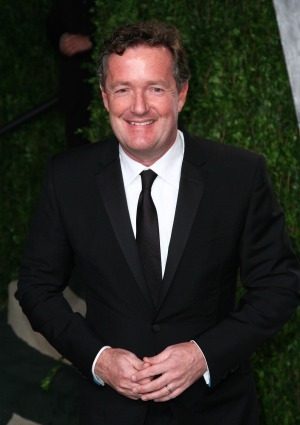 “She came up to me at some charity thing with Naomi Campbell and gave me a full, haymaking kick,” Morgan explained. “She’s a complete con artist and those arms are just terrifying,” he said of the “Girl Gone Wild” singer. We think the women probably don’t give a crap what he thinks.